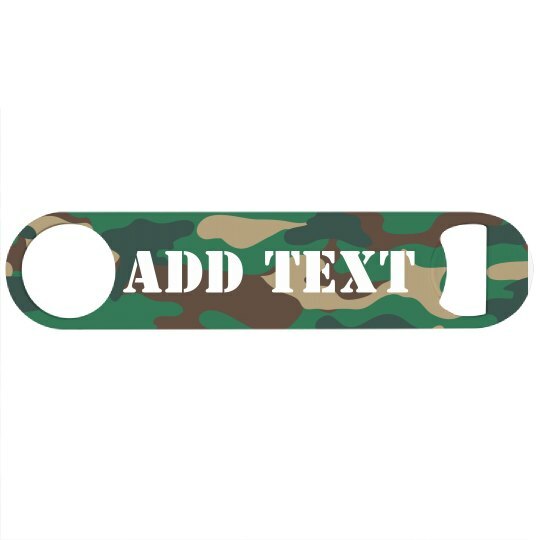 Customize a camouflage beer bottle opener for your small business. Every employee deserves a customized bottle opener to use to promote your business while working! Want something for the house? This could also be great to customize and throw in your kitchen.